How to draw a ball and why is it for a beginner artist? Artists are amazing people who know how to create whole worlds on paper. But before you become a recognized master, you need to learn a lot. At school, first of all, they study the alphabet. In painting everything begins with the image of simple geometric figures: a cube, a cone, a pyramid, etc. Today we'll talk about how to draw a ball. For work you will need: a simple pencil, a piece of paper, eraser. Great, if you have a model ball. For this purpose, you can take a ball, a round orange or another object. Put it under the lamp, you will clearly see the game of chiaroscuro. Put a point that will become the center of the ball. We draw the vertical and horizontal lines passing through this point. They must correspond to the expected radius of the sphere. Then we denote two diagonal lines of the same length intersecting at the central point. On this base draw a square whose corners coincide with the diagonal lines. In the resulting figure we enter a rhombus. Its vertices are located along the horizontal and vertical lines. We mark the sphere with a dotted line. At the intersections with the square and the diamond, it will fit snugly against them, it remains to connect these points with smooth rounded lines. When the received form suits you, the auxiliary features can be erased. How to draw a ball in bulk? To do this, carefully study the earlier taken ball or orange. Point them at the light so that it falls from the top and a little sideways. You will see that half of the balloon is lit and the other is darkened. Behind the figure, a shadow falls on the table. Line out the transition of the illuminated part of the sphere into the unlit. This is the darkest place. Below it is a reflex - part of a sphere that reflects light from the table, neighboring objects. Draw a rounded line and separate this small area. Designate the falling shadow, apply the hatching without touching the reflex at this stage. It was my turn to designate the brightest highlight on the ball. The space around him is stroked, barely pressing a pencil. Shade in a light tone reflex. When applying the shading, remember the shape of the figure. As a result, we will get several gradations of light. Transitions between them need to gently blend. The drawing is ready. If you want to work with colors, the drawn circle can be turned into a Christmas decoration. How to draw a ball on the tree? Start by showing the mount in the form of a low cylinder on the side or top of the circle. Mark the denticles on the clamp to give it plausibility. Pencil draw patterns on the toy. On the palette, choose the main tone, apply it without stopping by the edges. Glare on the ball can be obtained with a wet brush or by adding white paint. Around them put a shade lighter. The darkened side is shaded with black or purple. Transitions between colors make smooth, blurred. New-year patterns draw gouache. It remains to paint a cap with a loop, a contrasting background and a shadow cast by the toy. Draw the ball in stages, using a square and a diamond to support it. Erase excess lines, leaving a vertical line through the center. Extend it downwards. To the line, draw a small volumetric cube, which later turns into a basket. More precisely designate the contour of the balloon, which narrows in its base and resembles an inverted light bulb. To do this, draw the lines from the sides of the circle down, from them draw the cables to the basket. Just under the ball on the central rope, hang a cylindrical hot water bottle. Ovals mark the bottom of the dome and the transverse ropes that encircle it. Smooth lines indicate the longitudinal ropes in a balloon. How to draw a balloon that will look believable? We will take care of the details. On the dome, let's draw along the axial lines a slice, like an orange. You can add stripes, patterns. We will indicate the basket in detail, attach the handles to it. Let's put people inside. Erase excess lines. Painting a balloon, do not forget about the glare on each side of the dome. Then it will look bulky. It was the turn of the landscape. Draw a blue sky, white clouds. Below - green forests, fields, lakes. To give the picture dynamics, portray birds flying, moving people on the ground. A beautiful picture may well be an ornament of the interior. How to draw a ball? At first glance, there is nothing complicated. However, in fact, you will need a lot of effort to ensure that the strokes are neat, and the play of chiaroscuro is believable. Having mastered the laws of constructing elementary forms, schemes for the arrangement of highlights and shadows, you will be ready to create masterpieces. All that is required is patience and a sincere desire. Monochromatic color. 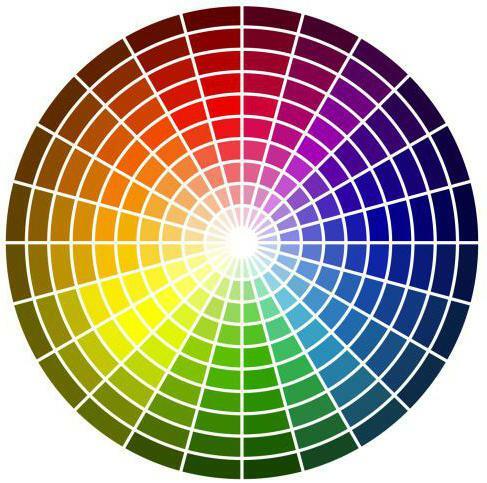 The laws of color combinations in different spheres of life.